It was the 6-year-old that claimed the Grand Champion title. It was Rosiers Blexy Goldwyn-ET that earned the title of Grand Champion of the 2017 International Holstein Show. 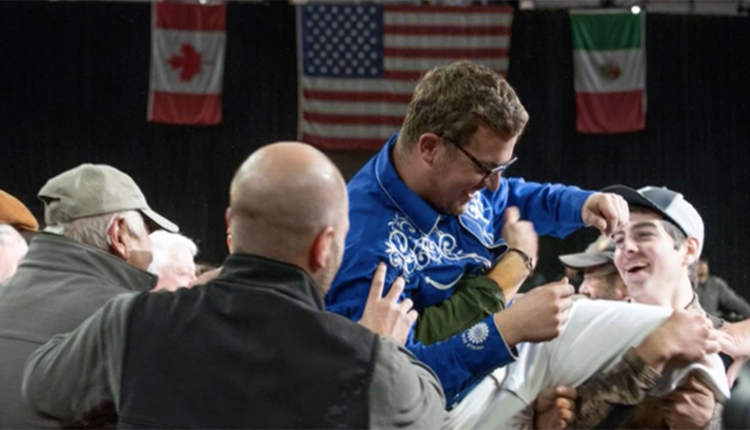 The first place cow in the 6-year and older class is owned by Budjon, Vail, Abbott, Van Exel, and Woodmansee. 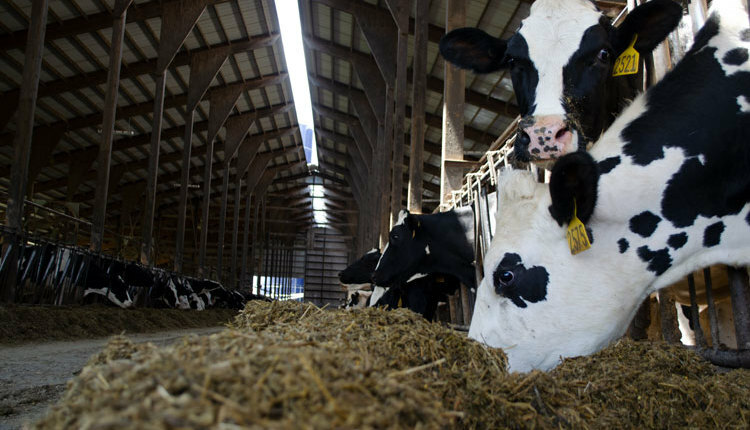 Judge Adam Liddle of Argyle, N.Y., described her as a beautifully uddered cow with a beautiful frame. It was the drop to her rib and a snugger fore udder attachment that gave her the nod over the winning 4-year-old cow, Co-Vale Dempsy Dina 4270-ET. 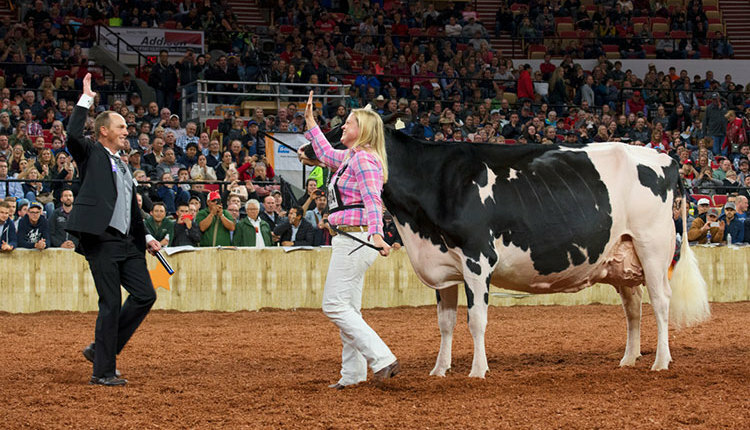 Co-owned by Ransom Rail and Milksource, she came out of the deepest class of the day and was also named the Reserve Senior Champion to Blexy. It was Ferme Jacobs that seized the day in many other respects. Jacobs were named the Premier Breeder and Premier Exhibitor of the show. They had an impressive five cows place in the top five of their respective classes. 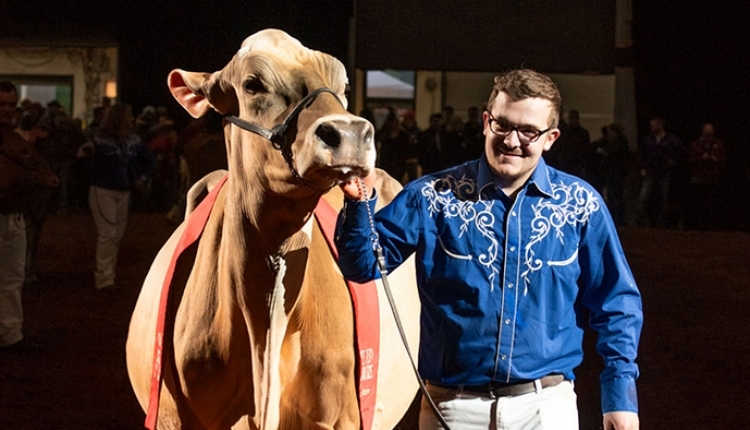 The Canadian string also exhibited the Intermediate and Reserve Intermediate Champions, Jacobs Windbrook Aimo-ET and Ms Goldwyn Saturday-ET. To add to their winnings, they exhibited the Best Bred and Owned of the show, Jacobs Goldwyn Valana. In the heifer show, it was the winning Winter Yearling, Rosedale Catch A Glimpse-ET that stood out on the colored shavings. The heifer owned by Clarkvalley Holsteins & Mt. 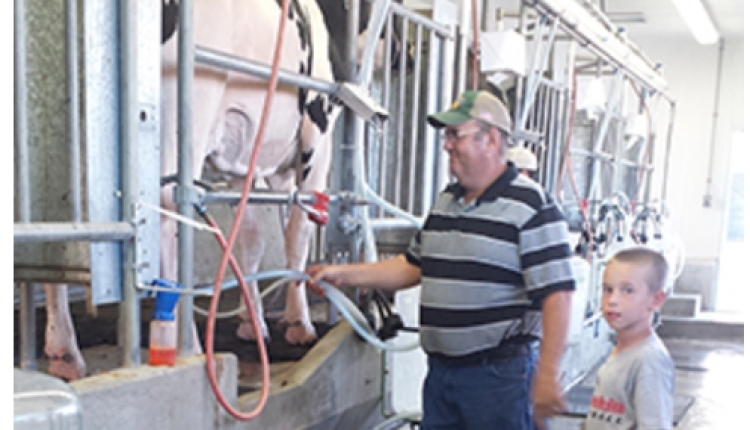 Elgin Dairy of Woodville, Ontario, Canada topped a class of 32 animals going on to edge out Milksource Gldndrm Asset-ET, the Reserve Junior Champion. Asset was the winning Fall Heifer Calf. She came out of a class of 52 animals and was exhibited by Weeksdale Holsteins, Allen, Parrabel Genetics, and Hi-Calibre Holsteins of Prince Edwards Island, Canada. 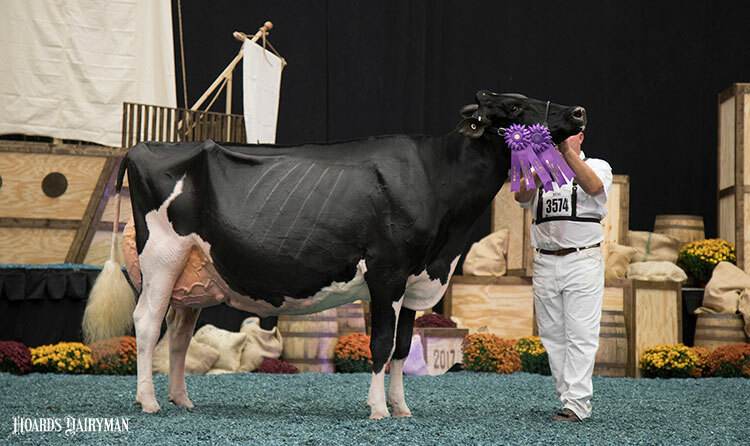 The Premier Sire of the International Holstein Show was Braedale Goldwyn while the Premier Breeder and Exhibitor of the heifer show was Ferme Jacobs, Cap-Sante, Quebec, Canada.